Take a left at the end of the ramp onto Shaker Drive. Take your first Right onto South Carlinda Ave.
marker near the end of the driveway. 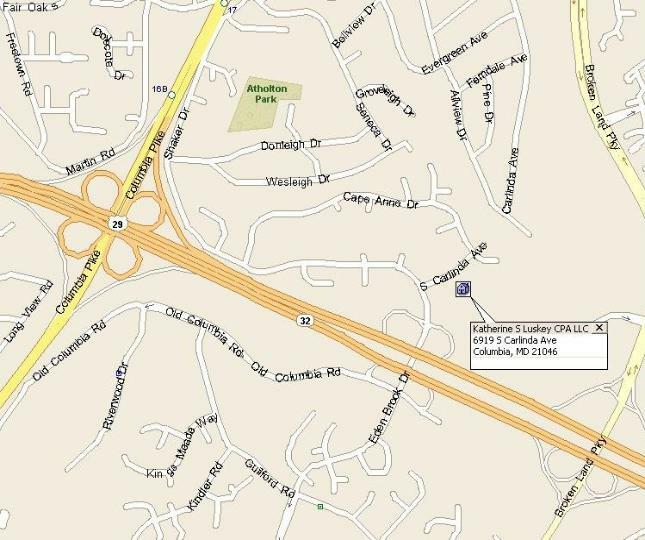 Take a Right at the traffic light onto Shaker drive, crossing a bridge over MD Route 32. After the speed bump, take a Right onto South Carlinda Ave.